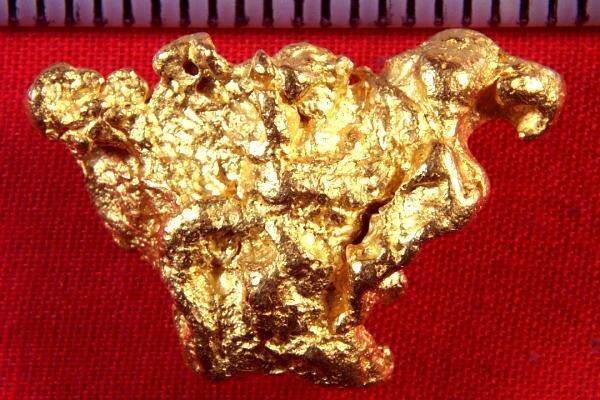 Australian Gold Nugget Shaped like an American Eagle - - It's Free! 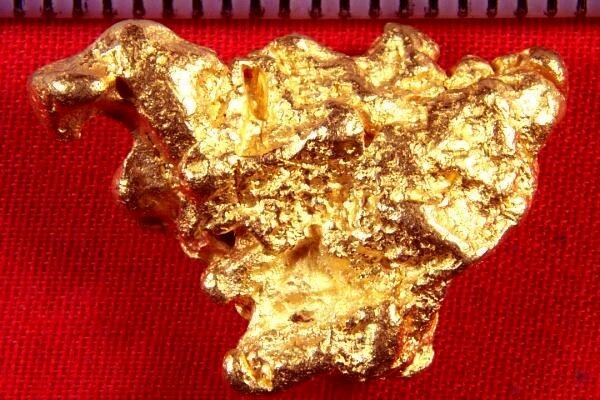 How often do you see a big beautiful natural Australian Gold Nugget that is shaped like an American Eagle? That would be never for most of us, except for the lucky buyer of this museum grade natural gold nugget. Gold Nuggets in this size and with a distinct shape like this one has are so incredibly rare that they are not priced by the gram because they are absolutely irreplacable. This gorgeous Australian Gold Nugget weighs a very hefty 23.4 Grams. That's 3/4 of an ounce of gold. You can imagine what this feels like in your hand. This is one of my very favorite pieces of gold in my collection. It is 1.25" long x 3/4" wide x 5/16" thick. What an incredible gold specimen.